From now on, we also build extruders for partially or fully automated use in robotic systems.Complete control and readout of current parameters via interfaces provided by us possible. Various versions available with up to approx. 7.3 kg / h output. Available with granulate or wire feed, with or without preheating. 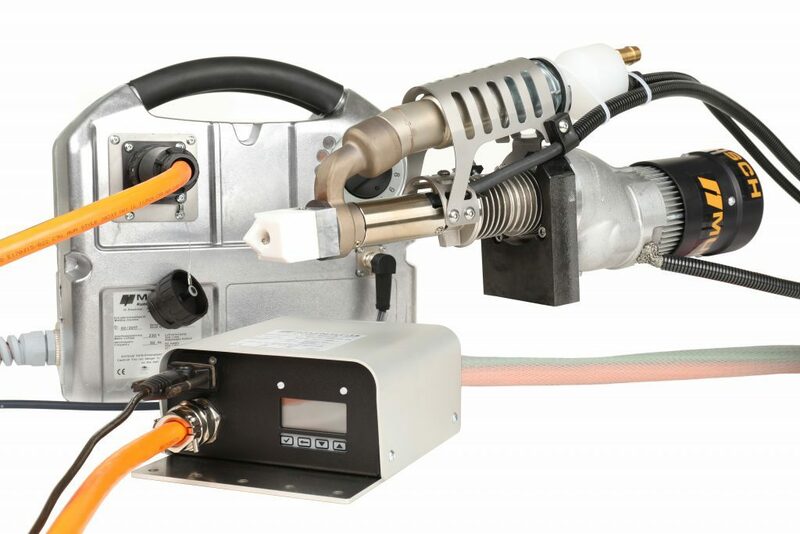 Ask us if you are considering automating your plastic welding processes.